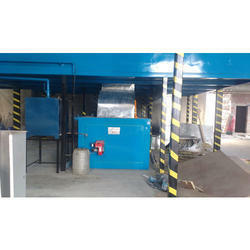 Our range of products include 4 passes air heater. Outer covering with powder coated panel for brilliant aesthetics. Easy disposal of ash by swivel base plate with handles. Rugged construction for longer life. Choice of fuel in all the seasons for easy availability and price. Easy to clean and self cleaning of heat exchanger due to vertical design. Patented three pass air heaters for low fuel consumption. Models available upto 300°C air temp. New ergonomically designed powder coated electrical panel. Savings all the time you use. Easy Maintenance and higher efficiency.